A silhouette outline illustration of a family of four. 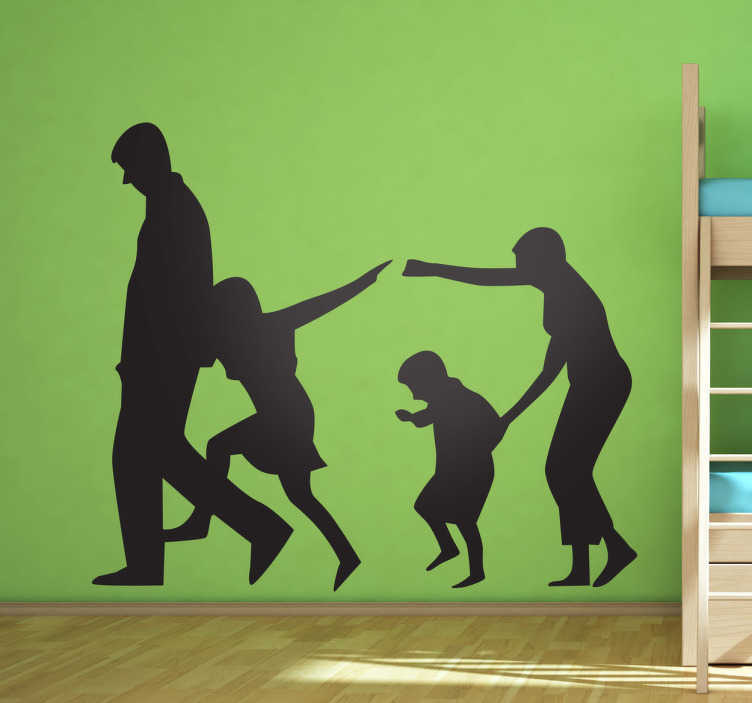 An ideal decal from our collection of family wall art stickers to decorate your home! Beautiful feature that brings warmth, tenderness and positive energy to a room great for decorating a family home. Now you can personalise your home with this unique decal! You can also customise this design. This monochrome design of a family is customisable in colour and size. Available in various sizes. Decals made from high quality vinyl, easy to apply and remove.